 If you are interested in helping with Mass as a lector, altar server, usher, sacristan, or extraordinary Eucharistic minister, please contact the parish office. Altar servers include parishioners from third grade to age eighteen who have been baptized and received their First Holy Communion. Other liturgical activities are open to fully-initiated Catholics in good standing. Sacred Hearts has an active music program open both to experienced musicians and to anyone who wishes to learn more about sacred music. Parishioners assist as cantors and as members of instrumental ensembles such as brass quartets. If you are interested in sharing your talent or joining our program please contact Angela Carbetta.